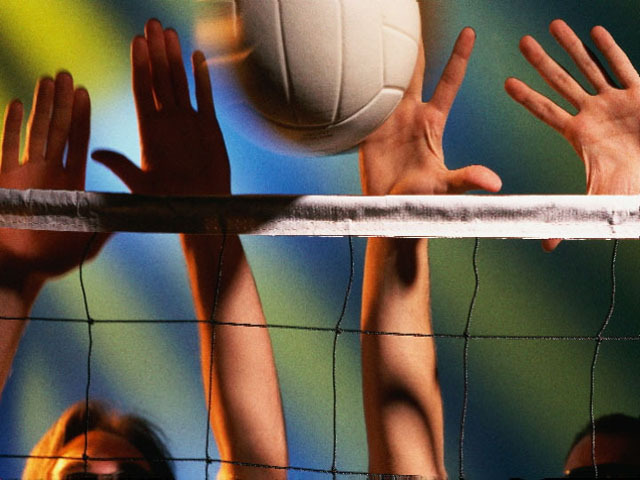 The following is a list of volleyball teams, tournaments and sports information for the Long Island, NY area. Endless Summer Volleyball is the first and only indoor beach volleyball facility on Long Island. With two 12" deep beach sand courts, full bar & grill on premises along with state of the art sound system, big screen TVs to stay up on all sports and a party room, Endless Summer Volleyball is the place for fun, entertainment and volleyball. They offer leagues from September to May for teams of 6, 4 or doubles. In addition, Endless Summer offers options for singles to join teams, private court rentals, lessons & adult parties for those looking for a unique experience, with food and bar options available. For children, Endless Summer offers after-school children's clinics, lessons, and many fun and unique indoor beach party options including volleyball, dodge ball, soccer, indoor inflatables and giant screen beach movies. If you can't make it for a league just come on down every Friday from 6 PM to midnight for Endless Summer Volleyball open play. Come as a team or come alone and join the teams we form all night and play as long as you like for $15 per person. Great food and drink specials all night. East End Volleyball (EEVB) has been organizing beach volleyball tournaments and leagues since 1977. Based in the East End of Long Island, EEVB has grown into the largest beach volleyball series in the East End of the country with tournaments from Newport, Rhode Island to the Florida Keys. Sanctioned by AVPNext, the grass roots organization of the AVP Pro Beach Volleyball Tour, EEVB has over 3,000 players. EEVB weekend tournaments help players qualify for the AVP Pro Beach Volleyball Tour. EEVB leagues and clinics help players improve their skill while enjoying the fun sport of beach volleyball. Volleyball In The Park is a series of volleyball tournaments organized by Volleyball Long Island (VBLI). VBLI is dedicated to the sport and promotion of volleyball events and provides message boards and forums for players to chat, join teams locally and share common interests in the sport. Volleyball In The Park plays on Long Island, New York at Eisenhower Park in East Meadow. Individuals or teams can apply and the games are co-ed offering opportunities for both men and women of all levels to enjoy the sport by competing locally. Long Island Big Apple Volleyball Club (LIBA) is a non-profit volleyball organization for girls ages 12-18. LIBA offers practice and tournaments with teams from our region, and other states. LIBA volleyball teams strive to compete in the USA Junior National Championships. Season runs from December to May and teams practice at Long Island Lutheran High School in Brookville, New York. Long Island Volleyball Association (LIVA) offers beach volleyball leagues, indoor volleyball leagues, tournaments and charity events throughout the Long Island, New York area. LIVA welcomes all players of all skill levels and backgrounds from beginner to advanced to enjoy the pleasure of team play, healthy competition and good exercise. Leagues are played at night under the lights at Jones Beach Volleyball Stadium, NY ( Nassau County) and at Robert Moses State Park, NY (Suffolk County). North Fork Beach Volleyball (NFBV) is a non-profit amateur beach volleyball organization established since 1995. Coed teams play Monday nights from Memorial Day to Labor Day at Breakwater Beach in Mattituck, New York.